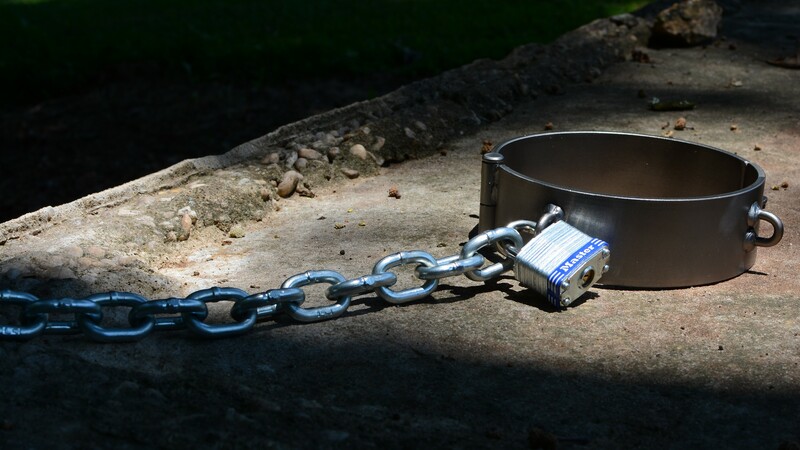 Here are a few photos of my heavy iron collar and cuffs, connected by a heavy chain and padlocks. Combined weight is nearly 20 lbs. Great pictures. But there’s a certain amount of sadness in that the collar, and cuffs, are empty….